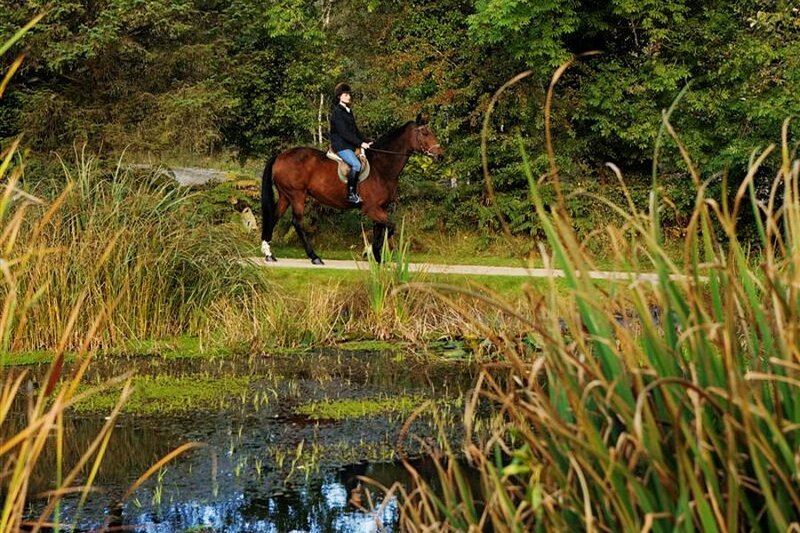 Macreddin Stables are set in the midst of a truly spectacular Wicklow valley. They offer treks across 300 acres of woodlands and riverside trails. 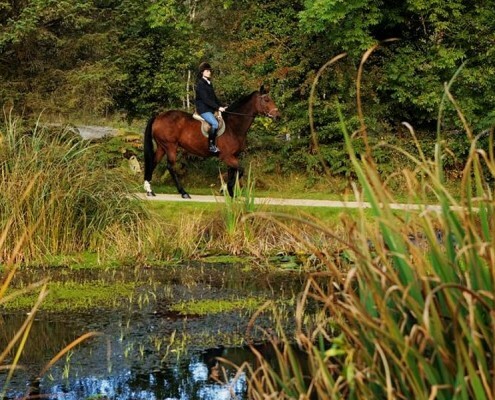 Horse riders, both beginners and experienced can avail of the Equestrian Centre at Macreddin where trail riding, trekking or hacking can be arranged. 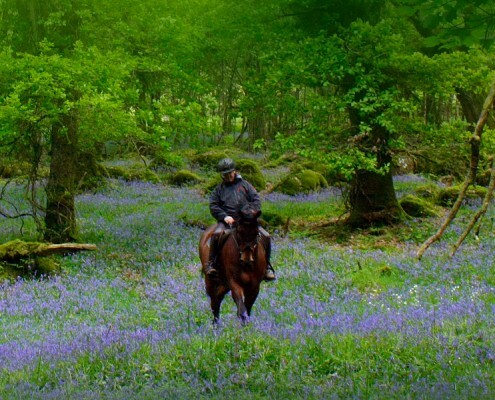 Glendalough House Equestrian is nestled within the heart of the 1,500 acre estate grounds of rolling parkland, pastures and woodlands. They offer 28km of trekking and trail riding through a variety of landscapes and over an assortment of terrains. 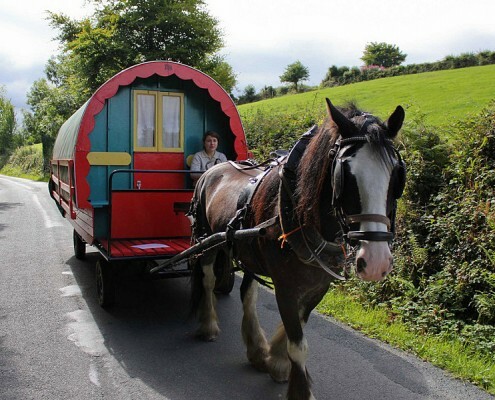 Treks are planned to cater to the rider’s requirement and ability. Located on the edge of Avoca Village, Oak Hill EEC is situated on an elevated position with views across the Vale of Avoca. 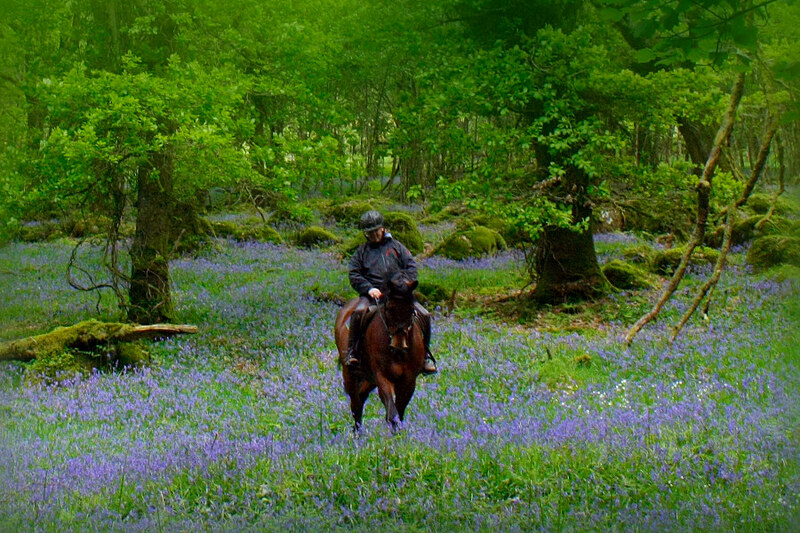 The riding school caters for all levels across all disciplines. There is access for trekking across 400 acres of land and routes up to 16km, which visit the sites of the old Avoca Mines. Alternatively, there is an all-weather arena in which to improve your riding technique. The Clissmann’s offer an ideal opportunity to enjoy a horse-based holiday without needing to have any previous experience handling horses. Each holiday begins with comprehensive instruction on how to care, feed, handle and groom your horse or donkey. 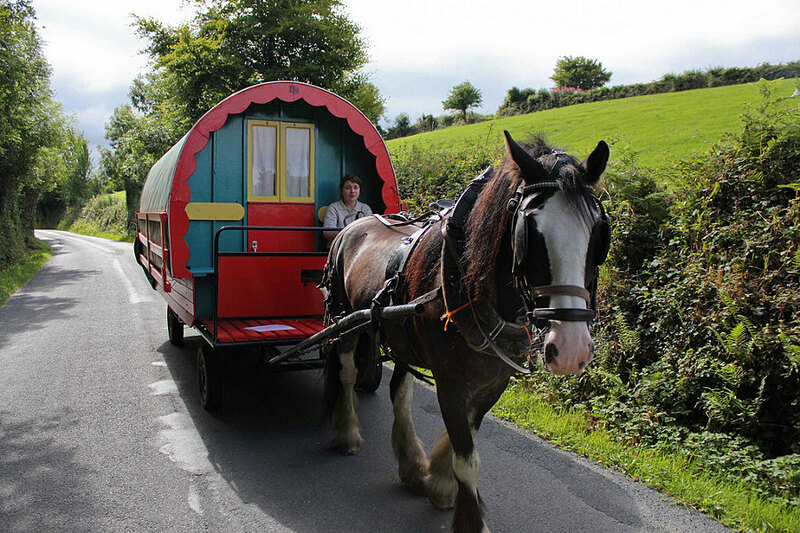 The Glenmalure Lodge is one of a number of stop-overs that provide a field for the horse-drawn caravans and donkeys. Food and drink is available in the lounge and accommodation comes as part of the package for the donkey walkers.